Most of the images you see online are pretty forgettable. Even if they are sort of amusing, you will likely forget them by the end of the day. Even if you see a picture of the cutest kitten that has ever walked the face of this Earth or ever will, you won’t remember it for very long. Some images are different, though. There are those images that you just can’t forget. If you stumble upon one of those, you are a lucky person. If that image also changes your life? You have struck gold. Here are thirteen images that you probably won’t forget that may also change your life. This review makes absolutely no sense. I read it over several times, and I have no idea what the point of this is. The owner is clearly confused, too. 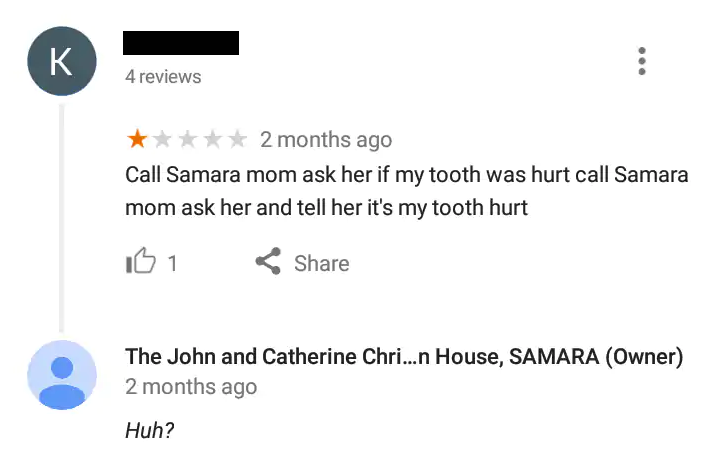 Why would you call the owner of a business “mom” and talk about your tooth hurting? Does the reviewer have a grudge against the owner of the establishment? 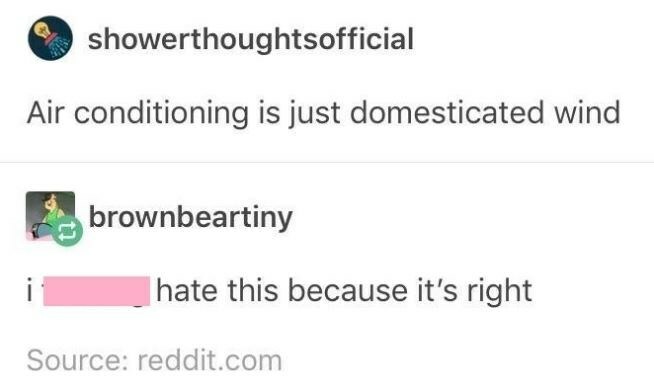 That must be the case, right? The establishment only got one star in the review. Apparently the person who posted this also posted a few other reviews. 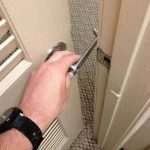 Are they bad reviews, too? I would be interested to read them. I doubt they make any sense, either. I have never seen anything like this before. 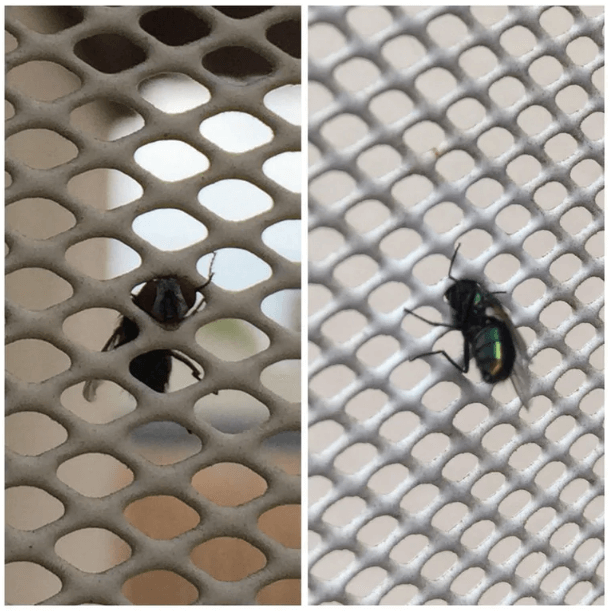 The fly actually got its head stuck in a screen door, and someone decided to take a picture of it. I did not know that flies could get their heads trapped in screen doors until I saw this image. Arguably, it would have been nice if the person who took the picture helped the fly escape its screen prison instead of photographing it, but flies aren’t exactly man’s best friend, are they? Flies certainly have their purposes, which is one of the many reasons why they have been referenced in literature since ancient times; however, most people find them pretty irritating. They are not the most hygienic of creatures. If you are anything like me, you lose socks all of the time. I have no idea how it happens, either. People joke about losing socks in the dryer, sure, but it happens more often that one would think. I have a bunch of socks that have lost their mates—probably for good. You can always wear socks that are mismatched, I suppose. Not many people really pay that much attention to your socks. If they do, they are probably not the sort of people you want to hang out with. Socks are a weird thing to focus on. If people notice that your socks are not matching, you should probably avoid them. Why not put the socks that don’t have a mate to good use? Everyone needs shirts, right? Frankly, I think the shirt in this image is sort of stylish. It’ll definitely get attention. Ordinarily, pictures of fruit are not terribly memorable. A lot of people take pictures of their food, but those pictures are usually pretty boring. This is a picture of food that is actually interesting. It really does look just like a heart. This is one of those happy accidents of nature that you won’t soon forget. 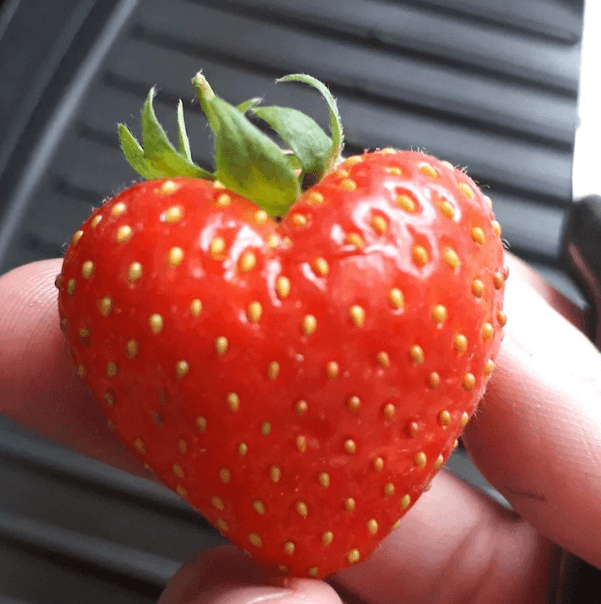 I wouldn’t eat this strawberry, as it is just too cool to look at. In general, though, strawberries are delicious. The variety of strawberry we currently eat dates back to the 1700s. It was first bred in France. This is a very cool leaf. 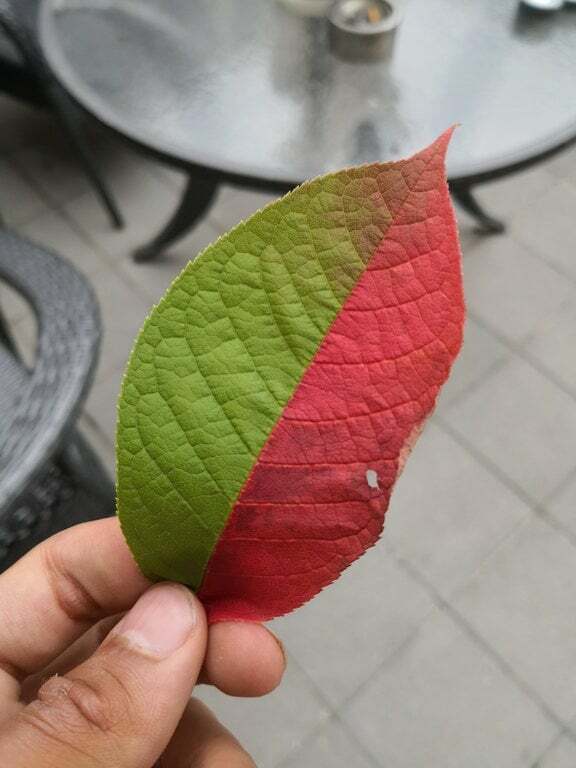 I’ve never seen a leaf that is one color on one side and another color on the other side. 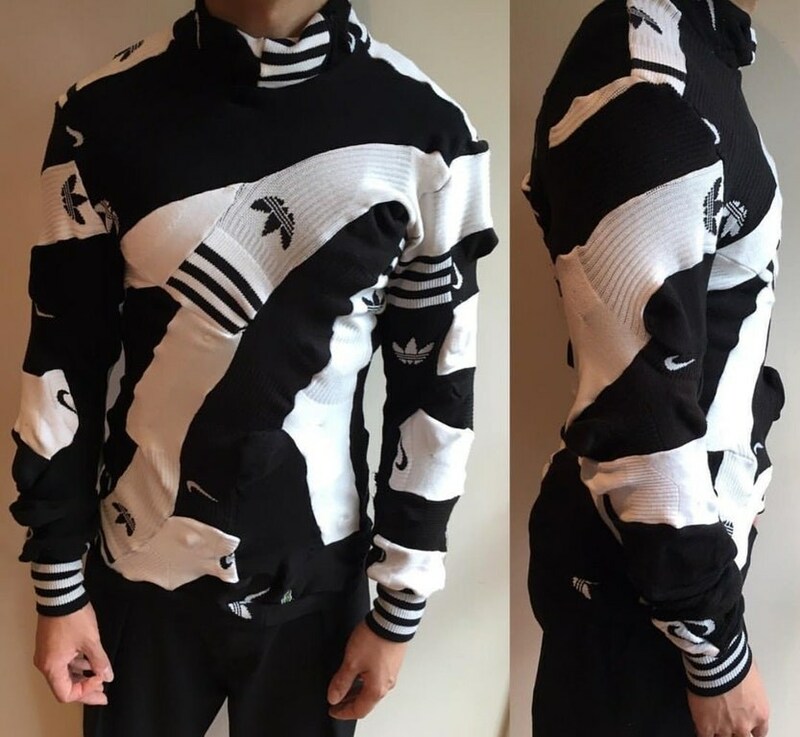 I can’t image what led to the coloring pattern here. I know that leaves change color when winter is approaching, but I can’t figure out why only part of a leaf was aware that temperatures were getting colder. Maybe the green half of the leaf was hidden from the elements somehow? Hopefully, the person who took this picture found a great way of preserving this particular leaf. It is definitely an interesting sight. There are not many leaves that you will remember for the rest of your life. 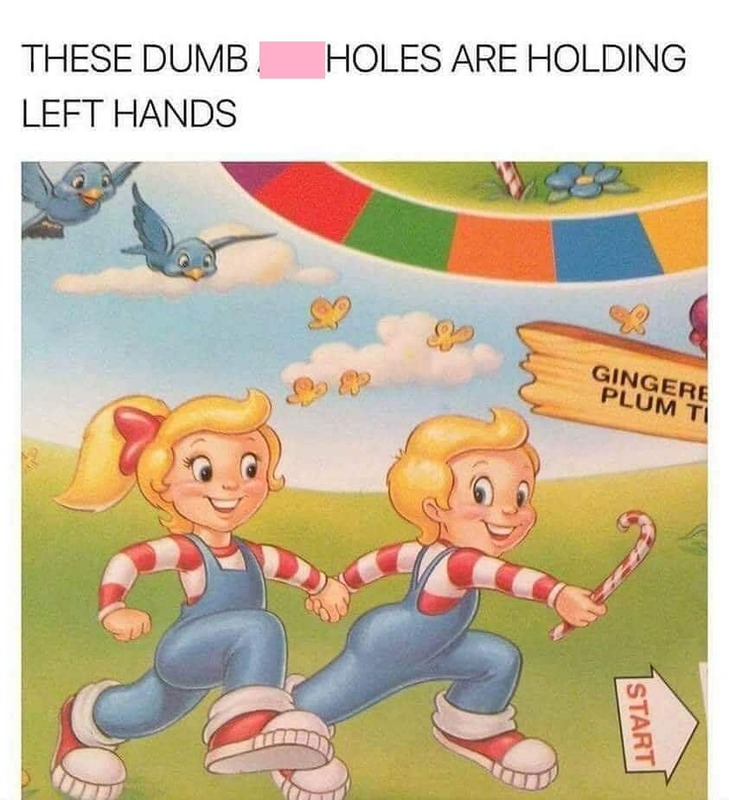 Until it was pointed out to me, I had no idea what was wrong with the Candy Land Box. The two really are holding left hands, which is not a thing most people do. That entire position looks practically impossible. Nobody does that in real life. Also, that kid looks way too happy to have a candy cane, and the birds look like they might attack at any moment. It is going to be an awkward journey to the Gingerbread Plum Tree if they keep holding hands like that. Candy Land, which is now published by Hasbro, is a children’s game that has been played for decades. It was first published in 1949. Despite being very simple, it is an extremely popular game. Over one million copies of the game are sold every year. There are even electronic versions of the game. One was made for personal computers back in the late 1990s. Due to its popularity, Candy Land has been inducted into the United States’ National Toy Hall of Fame, which can be found in Rochester, New York. 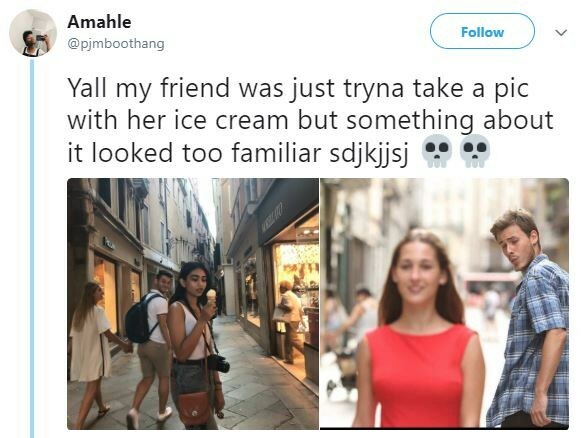 The guy in the background clearly just wanted ice cream. He was not checking out the young woman eating it. He was with his girlfriend, after all, and checking out another woman would have been terribly insensitive. The ice cream does look delicious, but why do so many people these days take a picture of their food and post that picture for the world to see? I understand that it is the trendy thing to do. However, does anyone actually really want to see a picture of food other people get to eat? When I look at pictures of food, all I do is get hungry for that particular food. If I don’t have that food in front of me, I get a bit irritated. Regardless of where you live—with a couple of obvious exceptions—you probably want a free car. There’s a lot of free stuff that I would like. Myself, I would like a free driver who will drive me around in my free car. I would also like a free airplane, and that airplane should be piloted by a free pilot. Unless you are a famous actor or musician, though, you should not expect free stuff. People generally don’t give stuff away. It would be great if rich people did that, but that is not the world in which we live. 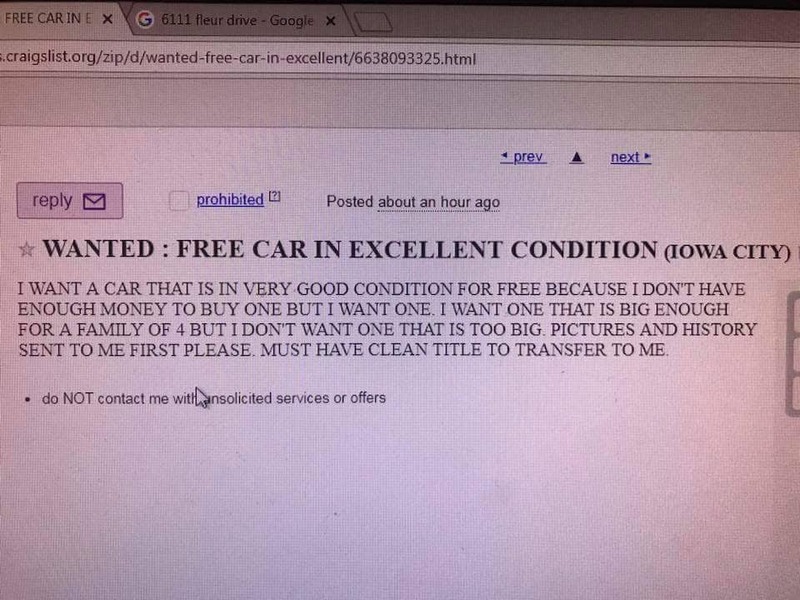 According to the image, a guy in Iowa City wanted a free car and actually expected someone to give him that free car. Furthermore, he was pretty specific about the kind of free car he wanted, which is pretty cheeky. Honestly, I don’t know for sure that the poster is a guy; I am just making an assumption. The guy wants a car that is in “very good condition”. If you are paying money for a car, that is a reasonable request. If you are trying to get a car for free, you should be happy if it runs at all and has brakes that actually work. The person who made this post also wants the car to be big enough for a family of four, which is not totally unreasonable. However, beggars can’t be choosers, right? The demands are insane, frankly. If you have a nice car that is also in excellent condition and has a clean title, you should sell it for money. Don’t give it away. Curiously enough, however, I wouldn’t be totally surprised if the guy got the free car. Life is funny sometimes. I do not know what was painted on the pavement in this image, but it definitely does not look like a person in a wheelchair. It sort of looks like a person in a rocking chair, but not really. The saddest part about all of this is that someone probably got paid a pretty decent amount of money to paint the pavement in such a fashion. The painting job may be terrible, but let’s hope drivers know what it means. A lot of people need handicapped parking spots. A lot of people park in them when they are not handicapped, but that is a pretty nasty thing to do. 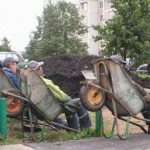 There are people out there with genuine mobility issues, and they rely on those spaces being open. 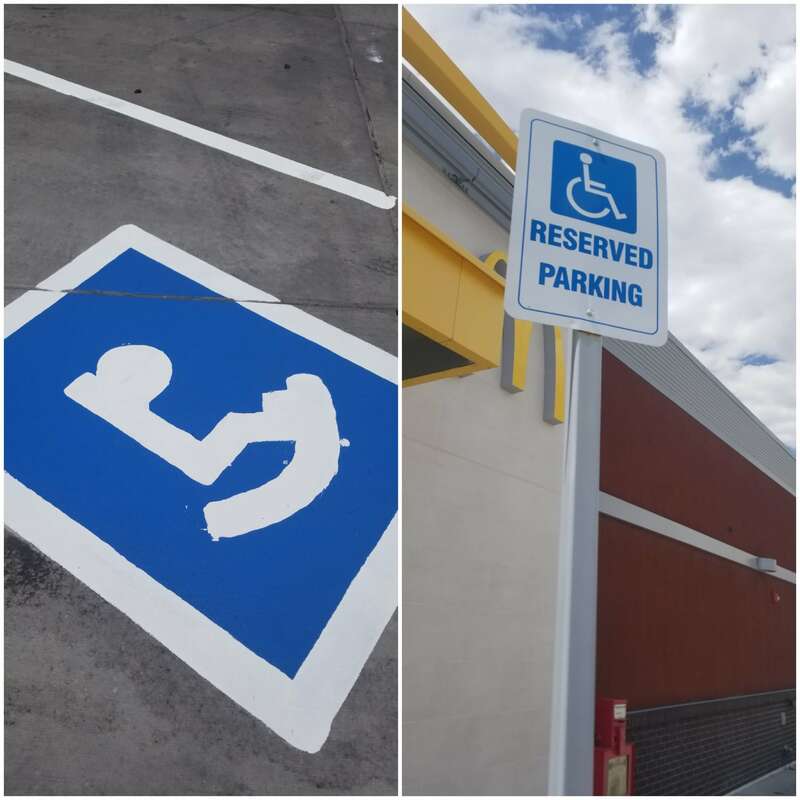 If you are one of those people who genuinely need handicapped parking spots, you will never forget this particular image. This sign makes no sense. First of all, there’s a human head attached to some sort of animal body, and the “creature” is under water. There is also a shark and a submarine, and I have no idea why. It kind of looks like the submarine is attached to the human head via a string. 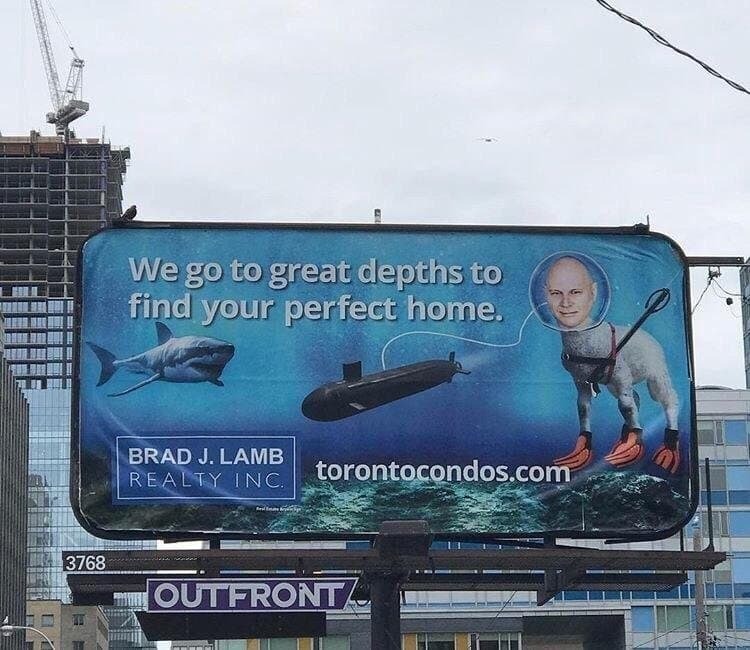 The website on the sign is real, and Brad J. Lamb is indeed a condominium specialist. He seems to be doing quite well for himself, actually. His company has apparently sold over 20,000 condos. In terms of dollars, he has sold over $8 billion worth of real estate. That is definitely very impressive. However, that said, he probably needs to hire a better marketing consultant. That’s such a weird picture. Also, do you really want your real estate agent associated with sharks? Whether you are buying or selling, that just seems problematic. I have no idea what is going on with this particular appliance. It appears to be a microwave of some sort, but I really can’t be sure. It appears as if it was installed in the house when the house was built, and the kitchen definitely looks nice. I’m not sure what the point of it is, though. 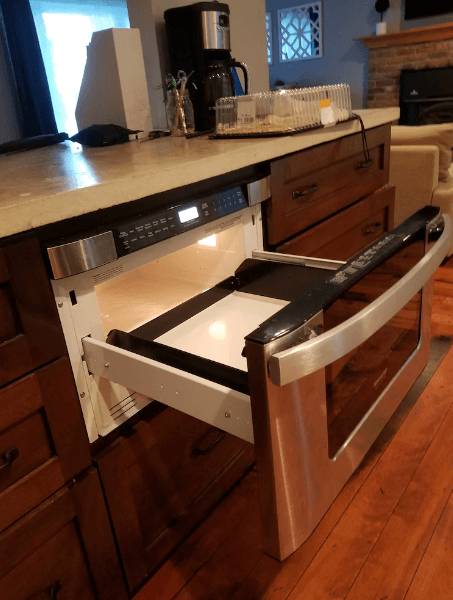 If it is a microwave, it is a bit larger than anyone really needs. It looks to be the size of a dishwasher. You could microwave a lot of food in that thing. I do not know what happened here, exactly. 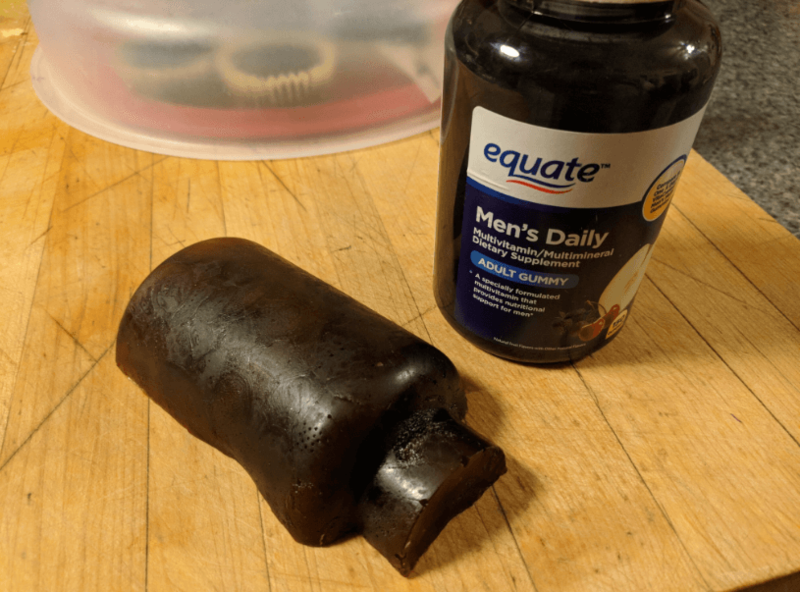 Apparently the gummy vitamins all sort of merged together into one giant blob. It is hard to say what caused that to happen. The bottle probably was not stored at a proper temperature. You kind of have to wonder what would happen if you ate that entire thing at once, right? That’s probably not a good idea, though. The overconsumption of vitamins can easily make a person extremely sick. Taking vitamins every day is a good idea, of course. You just don’t want to overdo it.